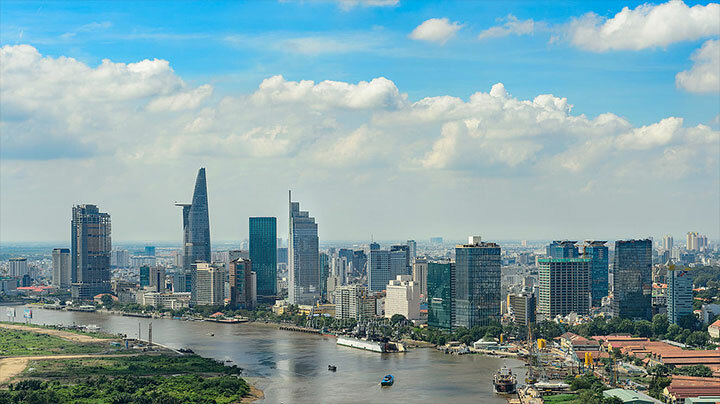 Roll in Asia, a Ho Chi Minh City-based tour operator, offers a number of tours to Vietnam, Cambodia and India that may work for many wheelchair-users and slow walkers. All tours include air travel, airport transfers, local transportation, accommodations and an English speaking guide. Transportation is provided in a Ford Transit van, which is equipped with a portable ramp. The hotels have been selected for their access, and generally they include elevators and rooms that are accessible by European standards. Some properties may also have rooms that can accommodate a wheelchair, but lack an adapted bathroom. All the sights included on the tours have been personally inspected for accessibility by Roll in Asia, and they either feature ramped or level access, or they can accommodate a portable ramp. The exception is the Halong Bay cruise which is not accessible to power wheelchair-users, as assistants need to lift wheelchair-users aboard. Some tours also employ the use of a joelette – a one-wheeled chair that is maneuvered by two assistants. Extra assistance is available to solo travelers or to folks that require additional help. And of course the agents at Roll in Asia are always happy to answer any questions you may have. For more information about available tours and pricing, visit www.rollinasia-travel.com or e-mail info@rollinasia-travel.com.